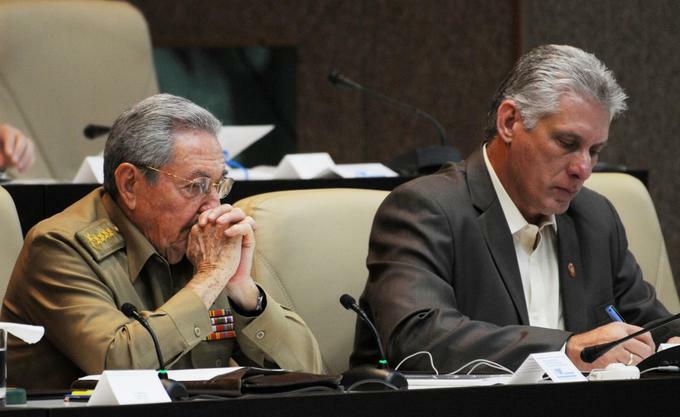 Raul Castro was originally set to step down in February, ending nearly 60 years of Castro brothers' rule and marking a transition to a younger generation. Cuba extended the term of its current leadership to April on Thursday, signaling a two-month delay in the historic handover from Raul Castro to a new president, while announcing tighter regulations on the non-state sector. Castro, 86, was originally set to step down in February after two consecutive terms, ending nearly 60 years of Castro brothers' rule and marking a transition from the leaders of the 1959 revolution to a new, younger generation. The National Assembly, however, said that devastation wrought by Hurricane Irma in September had caused a delay to the start of the political cycle in which voters and electoral commissions pick delegates of municipal, provincial and national assemblies who then select a Council of State and president. As a result, the assembly, which is holding one of its twice-yearly meetings, extended its term through to April 19. "When the National Assembly is constituted, I will have concluded my second and last mandate, and Cuba will have a new president," Castro said, according to state-run media. "All that is left for me is to wish you and our people a happy new year," he said. Castro, who officially took over the presidency from his late, older brother, Fidel Castro, in 2008, is set to remain head of the Communist Party, the only legal party in Cuba and its guiding force. His heir apparent, First Vice President Miguel Diaz-Canel, 57, was born the year after the revolution but has argued for the need to defend its achievements and provide continuity. Analysts say Diaz-Canel is unlikely to reveal his true colors until he is designated president, and even then his room to maneuver could be limited by the need to establish himself as a legitimate successor to the "historic generation." Hopes that the next president might deepen market reforms to the centrally planned economy introduced by Castro were dampened on Thursday by the announcement of new regulations on the fledgling private and cooperative sectors. State-run media cited Marino Murillo, chief of the reform commission, as saying that income distribution at cooperatives would be more closely regulated and business licenses would be limited to one per person. "The economic measures announced today suggest a continued slowing down, if not an undoing, of the economic reforms implemented between 2010 and 2016," said Michael Bustamante, an assistant professor of Latin American history at Florida International University. Cuba's political transition comes as it faces a host of challenges from declining aid from socialist ally Venezuela to U.S. President Donald Trump's partial reversal of the U.S.-Cuban detente and tightening of the decades-old U.S. embargo. "We have witnessed a serious and gradual deterioration in relations with the United States that cannot be blamed on our country," Castro was cited by state-run media as saying. He said the United States was fabricating pretexts to continue its failed policy towards Cuba. The Trump administration said this year that U.S. diplomats in Havana had been victims of "health attacks". A cash crunch has left Cuba behind on payments to its foreign providers, thereby affecting imports, Economy Minister Ricardo Cabrisas told the assembly. Hurricane Irma also caused damage worth the equivalent of 13.2 billion pesos, Cabrisas said. When evaluating damages from natural disasters, Cuba traditionally assumes a peso is equal to one U.S. dollar. Many other official exchange rates exist in Cuba, valuing the peso at much less. The economy nonetheless recovered this year from recession in 2016 - the first in nearly a quarter century - growing 1.6 percent, the minister said, citing expansion in the tourism, transport and communications, agriculture and construction sectors. Despite Hurricane Irma and a renewed U.S. crackdown on travel to Cuba, the number of foreign visitors grew 19.7 percent on the year to 4.3 million in the first 11 months of 2017, Tourism Minister Manuel Marrero told parliament earlier this week. Cabrisas forecast the economy would grow around 2 percent next year.